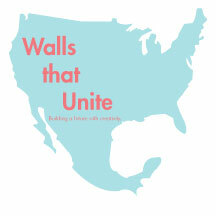 Founding Board Member Joe Suski joins Walls that Unite after the impact he felt upon seeing Ojos de Agua. Joe, a healthcare technology investor, advisor, and philanthropist, has been investing in pre-stage biotech companies. As well as his commitment to Walls that Unite, Suski serves as the Vice Chairman of the San Diego Regional Board for Gen Next, an organization dedicated to helping solve the future generation’s upcoming issues. He is also on the advisory board for Confideo, an award-winning innovation consortium focused on identifying emerging trends and advancing technology platforms in health care. Suski graduated from the University of Michigan with a B.A. in Psychology, Marketing, Communications. With 17 years of experience in the healthcare industry, he he has focused the last 10 on healthcare technology.